The generosity was amazing and all was very clean. Our stay was calm and comfortable. The Staff was friendly and responsive. 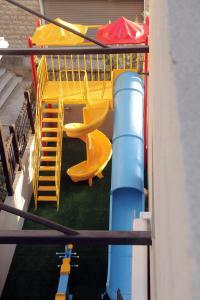 Spacious units, highly recommended for families with kids. From the moment I entered the hotel, I know it is the best choice. Very fast check-in , they upgrade my stay to Duplex 3 bedrooms. The duplex apartment was veryclean, plenty of space, with amazing view from all the balconies and next to the main street of Aley. 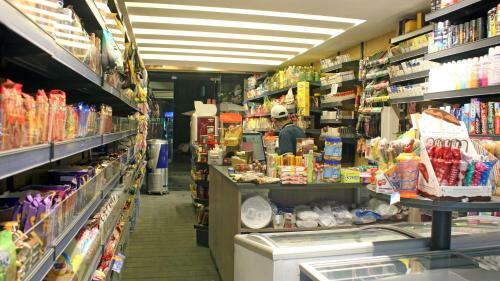 The location is accessible, the supermarket, many resturants and bakery just next the door. The staff are very friendly and helpfull, especially Mr. Moataz. My warmest congratulations to the hotel for their choice of personnel. They know how to really make you feel at home, and if you need anything it is like asking a family member. In the future we will surely stay and recommend this hotel to our friends. Spacious apartment, two full baths, nice beds and sofa. Friendly and helpful personnel. Great central location with many stores and restaurants close by. 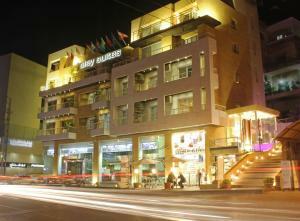 Lock in a great price for Aley Suites – rated 9.6 by recent guests! Aley Suites This rating is a reflection of how the property compares to the industry standard when it comes to price, facilities and services available. It's based on a self-evaluation by the property. Use this rating to help choose your stay! The modern and elegant apartments at Aley Suites overlook the city. Each apartment offers a living room with sofa and a dining area, while the kitchen includes an oven and a microwave. Shops and restaurants are a short distance from Aley Suites and Rafic Hariri International Airport is a 30-minute drive away. Free private parking is possible on site. 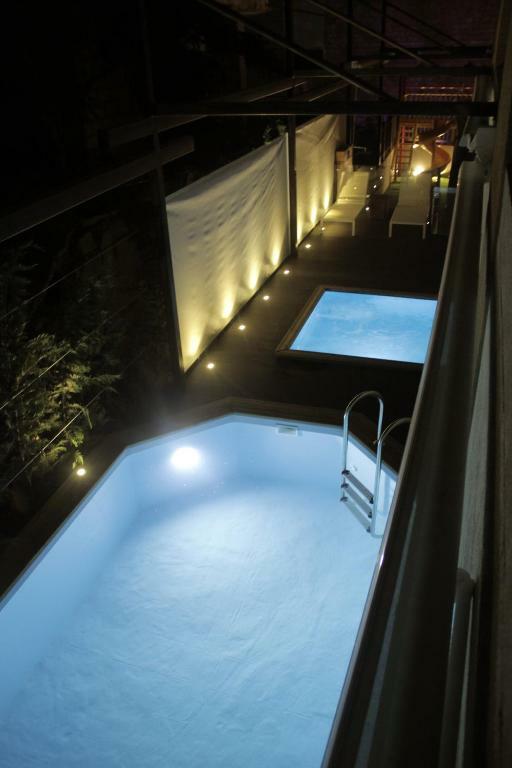 This property also has one of the top-rated locations in Aley! Guests are happier about it compared to other properties in the area. 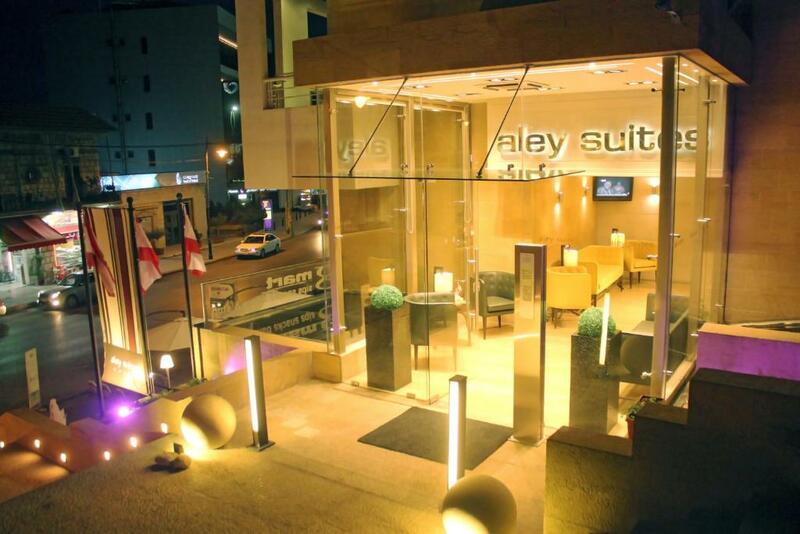 When would you like to stay at Aley Suites? Featuring a balcony with city view, this spacious, air-conditioned apartment features an elegant and modern décor. It offers two bedrooms and private kitchen complete with a dining area. Facilities include a flat-screen TV, a washing machine and a telephone. The bathroom is fitted with a shower. Featuring a balcony with city view, this air-conditioned apartment features an elegant and modern décor. It offers three bedrooms and private kitchen complete with a dining area. Facilities include a flat-screen TV, a washing machine and a telephone. The bathroom is fitted with a shower. Featuring a balcony with city view, this spacious, air-conditioned room features an elegant and modern decor. It includes a flat-screen TV and free WiFi. The bathroom is fitted with shower. Featuring a terrace with city, sea and Beirut view, this air-conditioned Duplex features an elegant and modern decor with chimney in the living room. It offers three master bedrooms and private kitchen complete with a dining area. Facilities include a flat-screen TV, washing machine, microwave and free WiFi. 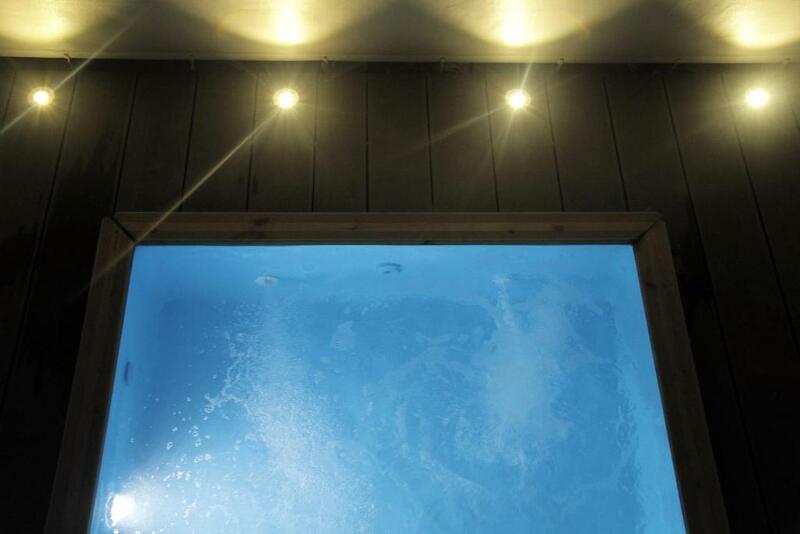 The bathrooms are fitted with a shower. Aley Suites is a one of a kind Condo-Hotel. It is known for its modern installations and comfortable appartments as well as a great team that is always ready to serve our guests. We are developing a new project called "Aley Village". It is located in Kettaneh Street in Aley city. 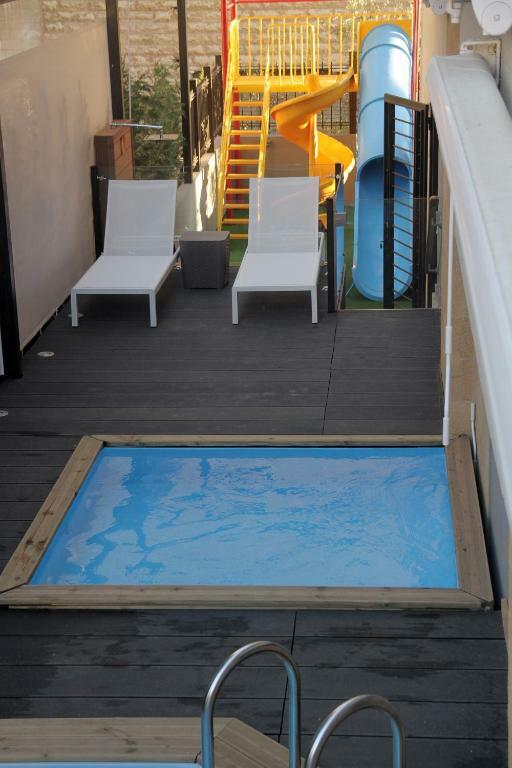 "Aley village" is a concept of 3 floored- houses, each with its own elevator, jaccuzzi, pool, green area ,and parking. 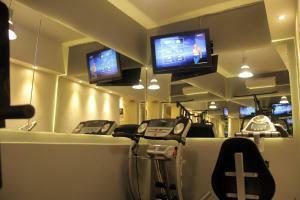 Its location will make you relax and enjoy your stay. Aley Suites is located in the main avenue (Bank street) of aley city, Mount Lebanon, surrounded by all kinds of shops, restaurants, and franchises. Also it is only about 12 min away from the Capital, Beirut. 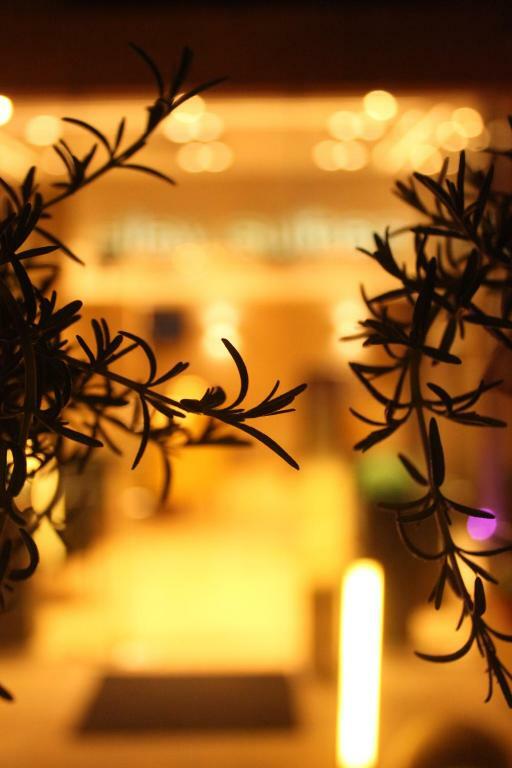 House Rules Aley Suites takes special requests – add in the next step! Cash Aley Suites accepts these cards and reserves the right to temporarily hold an amount prior to arrival. Aley Suites accepts these cards and reserves the right to temporarily hold an amount prior to arrival. Please note that the airport shuttle is complimentary for guests booking 4 or more nights. 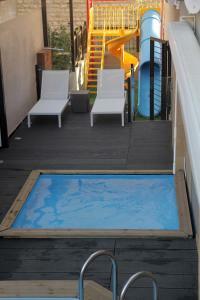 The assistance in the pool area didnt allow privacy with family especially that it is very small area. We felt inconfortable even though the girl that assists us was very friendly. Maybe it is the policy but it was exagerated a little bit. The sreet in front can be quite loud with people and cars. Loose showerhead.